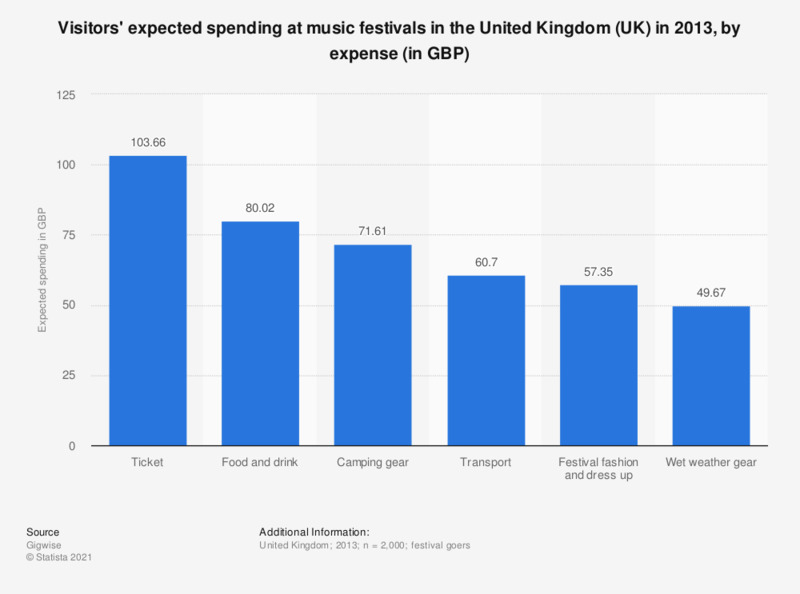 This statistic shows expected festival visitor spending in the United Kingdom in 2013, by expense. Respondents expected to spend 61 British pounds on transportation, on average. The source did not provide information regarding age of survey respondents or survey type.